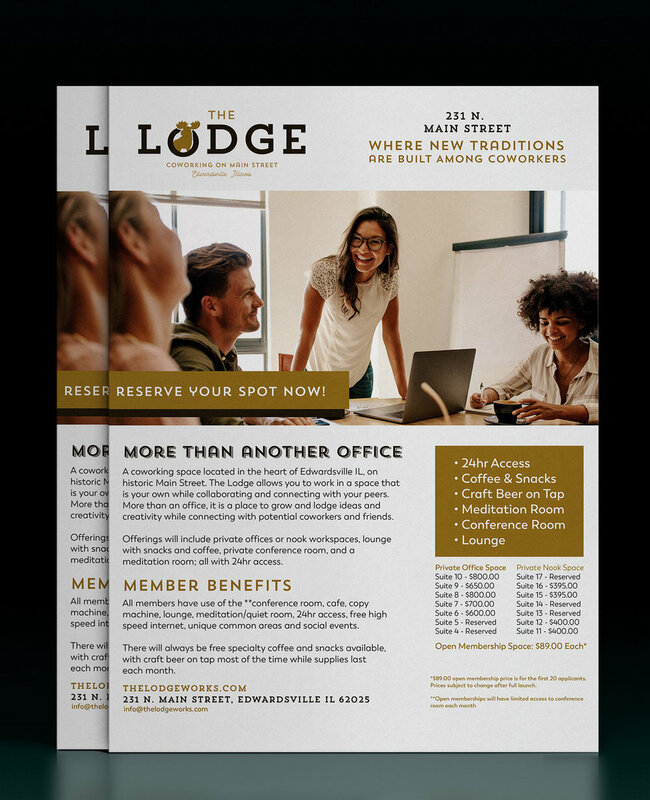 TCE branded and currently is helping launch The Lodge while managing their social media. Earlier in the year we moved to a new location (just a few doors down) to get in on the ground floor or a new development; when it turned out that development was going to be a set of new offices for a coworking space we jumped at the chance to brand it. The building, which has several shops on the bottom, was empty upstairs and had been for a long time. 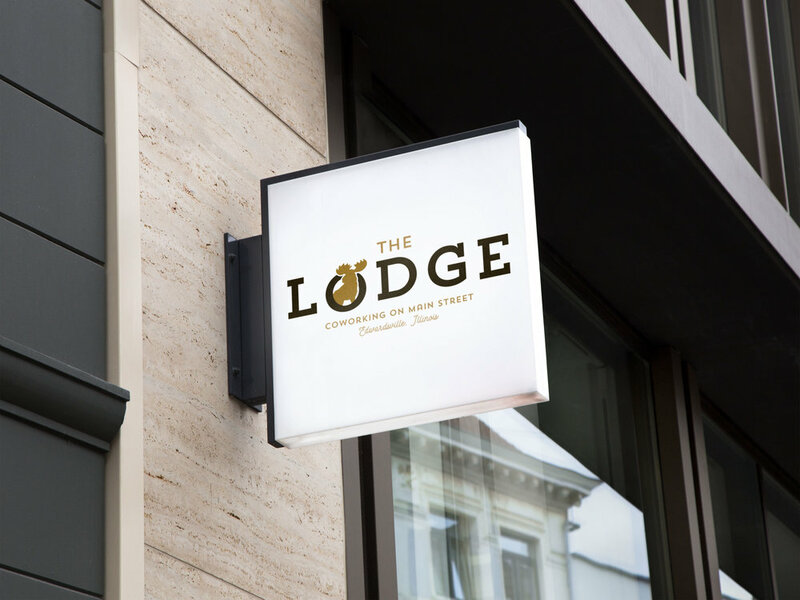 It was originally built out to be the local Moose Lodge in the early 1900s, so the idea of retaining Lodge in the name was tossed around. Several other ideas were also thrown into the mix of course, we are never ones to leave a stone unturned. 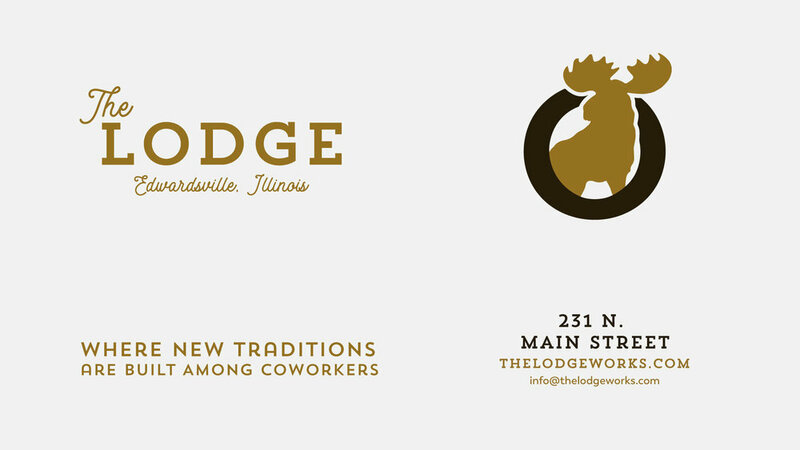 But after the design was put together The Lodge was the one that stuck. Some vintage style in the type, a brown, brass and gold color pallet and of course a Moose would flesh out the new look. 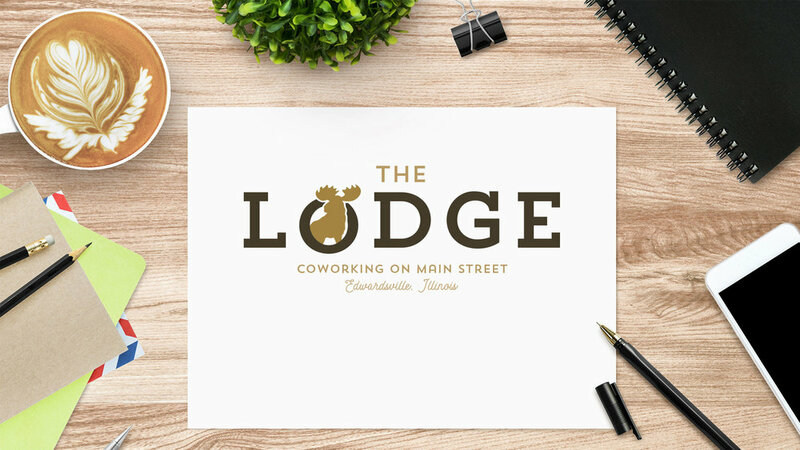 Not just a throw back to the building’s original purpose, the branding is meant to callout to a core purpose of a Moose Lodge; bring people from a community into one place and collaborate on new ideas and work together to keep prosperity going. 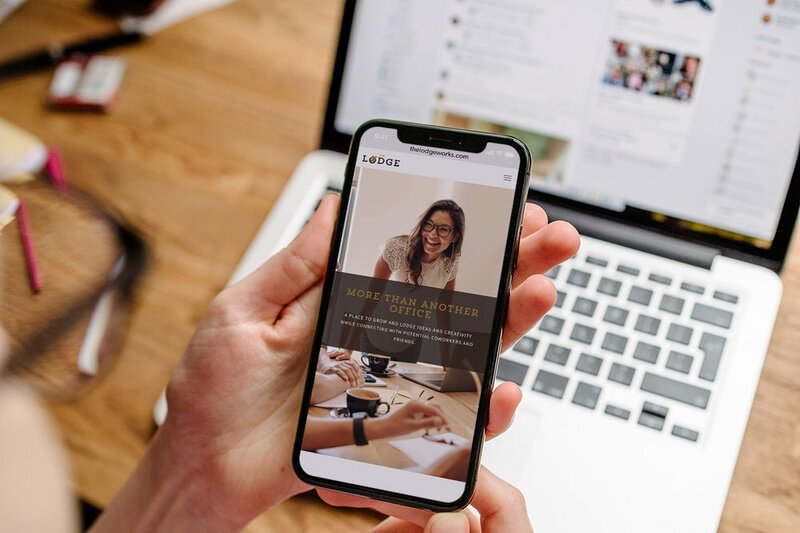 This idea helped build out some of the tone of voice and copy to be used on the collateral and website; such as building new traditions, friendships and working relationships, and sheltering–or lodging–ideas.